SALT LAKE CITY (AP) — The recent beating of a young man and his father at their Salt Lake City tire shop by an attacker who told police he targeted them because they were Mexican is renewing criticism of the state’s hate crime law, which one prosecutor is calling unusable. Rather than protecting specific groups, the 1990s-era measure speaks generally about crimes that block people from freely exercising their constitutional rights. “It’s not worth the paper it’s written on,” Salt Lake County Attorney District Attorney Sim Gill, a Democrat, said Wednesday. The hate crime statute hasn’t been prosecuted for at least two decades, and ethnic and LGBT groups live in fear when attacks happen, he said. Because the law doesn’t apply to felony crimes, Gill’s office couldn’t use it to charge Alan Dale Covington, 50, with a hate crime, even though he told police that he attacked a father and son with a 3-foot metal pole because they were from Mexico, according to charging documents. He told investigators the “Mexican Mafia” had been after him for years and that he went to Lopez Tires on Nov. 27 because “they all know each other,” police said. The Lopez family has said Covington shouted, “I’m here to kill a Mexican” before he started swinging the metal pole. Covington, who is African-American, doesn’t have a listed attorney. 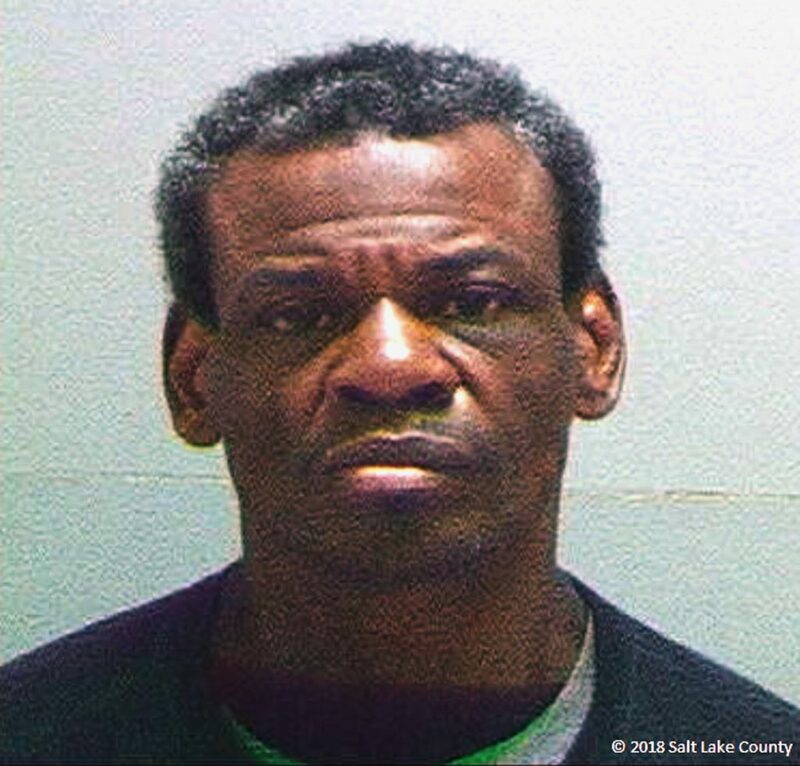 He is homeless and had heroin in his system when he was arrested, prosecutors said. He acknowledged to police that he didn’t know the victims, Luis and Jose Lopez. Luis Lopez, 18, suffered serious head wounds after he tried to defend his father, who was hit in the shoulder as he ran away. Covington has been charged with two counts of felony aggravated assault. Local public officials from across the state have appealed to lawmakers to beef up punishments for hate crimes and add LGBT protections. Those efforts have died in recent years after the influential Mormon church weighed in by saying the proposal would upset a balance between religious and LGBT rights. Utah state Sen. Daniel Thatcher, a Republican, said he plans to try again to strengthen the law to include more serious penalties next year, even though prospects are uncertain. “Under Utah law … we cannot acknowledge it was a hate crime. That, in my opinion, does a disservice to the family, it’s a disservice to the entire Hispanic community, and it’s a disservice to Utah as a whole,” he said. The Church of Jesus Christ of Latter-day Saints declined comment Wednesday about the incident or the state of hate crimes law. Other lawmakers still have concerns about the measure. Sen. Todd Weiler, also a Republican, said the Lopez allegations are reprehensible and the current law is imperfect. Still, he’s worried about singling out certain groups for special treatment or criminalizing people’s thoughts or writings in cases where bias isn’t as clear. “They think that if the Legislature waves its magic wand, all the hate and racism goes away. It doesn’t,” he said. All but five states in the U.S. have hate crime laws; Utah is one of 15 states that have such laws but don’t cover anti-LGBT-crimes, according to the Human Rights Campaign. Luis Lopez’s sister, Veronica Lopez, didn’t return a phone call seeking an update about her brother’s condition. But a GoFundMe page she created said that Luis Lopez is home recovering after having surgery to place a titanium plate in the right side of his “shattered” face. She said her father’s arm and back are bruised, but better. She said the family doesn’t have any health insurance. So far, nearly $70,000 in donations have been made. Luis Garza, director of the Utah immigrant rights group called Comunidades Unidas, said the beating of the Lopez was clearly a hate crime. His organization is already meeting with LGBT groups and others to advocate for a stronger law when the Legislature meets in January. Written by BRADY McCOMBS and LINDSAY WHITEHURST, Associated Press. No doubt a hate crime, but kind of seems Covington has mental issues. No mention of alcohol or drugs. Once again the LDS church is in the middle of this. NO COMMENT. Well let’s hope the law gets changed. Apparently as with our Current Prop 2, the LDS church neutered the original law out of fear the LGBT community would gain legal ground. Great Job, your comment should be We Are Sorry. Why should the punishment be different because you hit someone in the head with a pipe because of their race vs because you wanted to steal their shoes vs you were having a bad day? You hit someone in the head with a pipe! Punish THAT! The whole concept of the government trying to divine our motives and change the punishment based on whether or not its a “hate” crime vs a “selfishness” crime is ludicrous. Justice is supposed to be blind, meaning no one gets preferential treatment. That swings both ways and includes both the victim and the accused. I would be saying the exact same thing if the person committed the crime because they were from Utah, were LDS, thought the person was me, or hit me thinking I was another person. A crime is a crime, and the crime should be punished, not the thought process that led to the crime. Even in the case of impaired mental ability the person may be less accountable, but the punishment should be the same. If a severely mentally handicapped person kills someone they should still be put away for life, just in a secure mental institution rather than a general prison population, but they should still lose the opportunity to ever commit the crime again. People getting out of punishment by reason of insanity is itself insane. First, its rarely an attempt to “divine” motive. In this case the accused made his motive explicitly clear. Pretty common actually as hate crimes are best compared to a form of domestic terrorism. Hate crimes are an explicit, distinct crime as they are done to intimidate an entire group of people, not just the individual attacked. And those people are normally marginalized citizens, like racial or religious minorities. That said hate crimes laws can also be used to prosecute crimes against those in the majority. For comparison, we have such distinct laws elsewhere. Individuals aren’t just charged with theft for every theft crime but subsets that we recognize affect society uniquely, like auto/grand theft auto, shoplifting, bank robbery (federal statute). Crimes are often charged and distinguished by whom they affect. Chief Justice Rehnquist’s summarized it well, “this conduct is thought to inflict greater individual and societal harm…. bias-motivated crimes are more likely to provoke retaliatory crimes, inflict distinct emotional harms on their victims, and incite community unrest.”. Well Brian, I once thought as you did. I attended a 90% demographic African American public school in the ghetto (across the street from a govt subsidized housing, i.e tenaments) during the racial upheavals in the late 60s. The Black power movement was in full stride and my brothers were being beaten up on a weekly basis due to the fact they were simply white. I was lucky, for some reason, maybe because I was a little kid (age 4 1/2 -6 yrs ~ started Kindergarten early in those days, lol) and had black friends who didn’t judge me by the color of my skin. Little kids in their pure form are colorblind. Whereas adults in a survivalistic self preservation mode (i.e. in prison) default to racial lines, to the point of killing or viciously beating another for betraying ones’ racial ethnic origin. Long story short, MOTIVE does matter, and committing a violent act due to hatred of a person’s, race, gender, etc… does matter from the point of justice. The same goes for mental health-related causes. Our society and culture determines the scale of justice in terms of which motivation is more or less tolerable – and for example the motive of self defense is often considered justified. The reason motivational intent based on hatred and discrimination towards specific groups, is built into laws like this is to discourage behavior based on ignorance and intolerance. We dont need to go backwards. In Utah once upon a time, lynchings were not uncommon. One day, society will not need to recognize hate crime, but we are not there yet. MY OPINION. Feel free to disagree. Two words, Brian: BLEEDING HEARTS. I tend to think this hate crime law stuff is primarily influenced by jewish holocausts of the 1940s and that sort of thing. its easy to forget that aipac is still the most powerful lobbying cartel in this country. and they’d probably prefer we forget that fact. This particular old black man was probably a lunatic and it sounds like his brain was fried from heroin use. But I learned just recently that its not uncommon for blacks and mexicans/illegals to not get along real well. This may or may not be a fact that can be generalized, but there may be something to it. LOL, actually I’m just not around blacks or mexicans enough to ever have a chance observe the interaction between the two groups. It is a fact. See last 2 decades of violence in Wilmington Ca for a specific example. The Hispanic gangs pushing out the black residents has been going on for quite awhile there. Crips & Bloods no longer control LA County jail as they once did. The Mexican Madia has run the show since the early 90s.. Santa Ana / Anaheim area is their headquarters on the outside of Prison. Also that area is now up there with places like Brooklyn as some of the densest populated cities in the USA. I lived on Ball road for just over one year north of Anaheim stadium, and recall 3 candlelight vigils for children killed on the way to and from school during that period. Times sure have changed since the late 60s when I use to to there to Disneyland once a year around Christmas. Brian, one of the most wide ranging problems America faces today is that there are very few mental institutions and an epidemic critically in need of them, most of the mental institutions are private and they don’t except insurance at all, it costs $30,000 a month in most instances, you can thank Congress and The Mental Health Systems Act signed be President Jimmy Carter in 1980, therefore we have all these crimes perpetrated on the public that our law enforcement and judicial system are forced to deal with, our jails and prisons are full, yours and my tax dollars are still being used to hire the resources to try and deal with this national outrage, a lot of those incarcerated in the prison system should not even be there. Explain that away? Let’s blame Carter because we know Saint Ronnie could do no wrong, huh? Liberals profess that African Americans have no power thus they can’t be held responsible for hate crimes. And if I was sitting in the waiting area of the tire shop and was attacked as well, would hate crime charges be added (PS…I currently identify as white)? How often does that happen? Uh, never.